A quality focused Software Engineer in Test, with established experience in test automation development, agile methodology, team leadership, and entrepreneurial drive - is ready to continue professional growth as a value-added employee for a promising opportunity. Over 10+ years of automated, functional, integration, and performance test experience. Nine valued years of writing Java based Selenium/Webdriver/JUnit/TestNG frameworks. Seven active years of performance test execution, monitoring and analysis. Four years as motivating team lead, encouraging technical growth and shared expertise. Adaptive to professional challenges and evolving business changes. Diverse knowledge in exploratory testing, xUnit tools and agile project cycles. Strong communication and continuous feedback to team and management. Commitment to proficiency in documenting test strategies, project scope and use cases. Developed a commercial web platform and businesses. IoT, Mobile and smart devices, OAuth, SaaS, PaaS and cloud platforms. Distributed Web Services and API, B2B, B2C, financial and retail client services. Proponent of agile and scrum focused product delivery - from concept to E2E tests. Mission driven to support business and customer priorities. Team-ready for short and iterative project test cycles. Valuable white-box, gray-box and black-box test skills. Valued automation script experience for functional, load, integrated, behavior-driven and UI testing. Authored test harnesses for white and grey box projects. Rigorous specification analysis and defect reporting. Development included implementation of a rest service from data model to support Android hybrid app of Pledgerunner. Early version of Android hybrid app was developed with Ionic / AngularJS. Used Appium to create sanity test against UI. Environments: OS X, Linux, MySQL, Firebug, Git. A test framework was built to aid in functional testing and sanity checks after each build. Available to fork on GitHub. Leverages Bootstrap 3 with a timer to 'slide' through images and text, and handle interaction with a timer reset. Leveraging Knob.js, a custom use of an image (Material Fonts) was added to improve UX design of the Pledgerunner dashboard. One of three new hires brought in to establish the automation test framework team to support quality for the Demandforce business group at Intuit. Development required an automated test stack that supported continuous integration. Core of our framework included Java, Selenium Webdriver 2.0, JUnit, Maven, Log4J, and Jira integration for scrum reporting. Features included Xpath based UI maps to support front-end and headless test requirements. Additional responsibilities included support of integration test framework which operated and tested methods at the controller and model layer. Platform was built on AWS for independent test bed distribution to team members. Early code repository required Git, later migrated to Mercurial. Participated in daily scrum with review of test executions and blockers. Technology: Automatation, integration, regression, and white box testing, Selenium Webdriver, JUnit, Jira, Confluence, Bamboo, Jeeves, Git, Mercurial. Architect of test framework for managing tests for multiple platforms and browser configurations, using Selenium Grid, Java, and JUnit. A subset of Selenium/JUnit cases were accessible (via Subversion) for developers to include as part of their UI and unit test validation. Team Lead responsibilities included Jira and offshore project coordination with India and China QA team members, with performance and scalability test strategies and daily scrum participation. Performance test efforts were built with JMeter and web services testing with SoapUI. Environment: Windows 7, 2008 Server, Mac OS 10, Linux, MySQL. Technology: Functional, performance, regression, web services testing, Selenium, JMeter, GreenHopper, Jira, Confluence, Bamboo, Tomcat, SoapUI, Jira, Confluence, Subversion. Constructed Java test automation framework with Selenium RC, to support data warehouse management application, for both mobile and SaaS platforms. Additional automation support included TestComplete for consolidated management of performance and web services testing needs. QA efforts included test case and strategy planning. Support of web services/SOAP. As Senior, engagements included scrum and defect resolution with customer service team. Strongly admired for applying a defined rigor and delivering best practices to QA team. Environment: Windows Vista, 2007, XP, Linux, J2EE, Oracle. Technology: Functional, regression white box, and web services testing, Selenium, TestComplete, Java, Tomcat, C#, VB, SoapScope, Jira, Confluence. CVS, Subversion. Performance, black box and data validation testing, including Sarbanes-Oxley compliance testing. Promoted to Lead Test Coordination role to manage four person performance test team. As lead for two years, integrated profile and benchmark transaction tests with LoadRunner and JUnitPerf that mirrored user transactions. Team management required test plans, schedule coordination of resources, and defect reports. Environment: Windows 2000, VBA (Excel), Solaris 9, Toad, Oracle 9i, Citrix. Technology: Performance testing, profiling tests, Java, JUnit, Quality Center, LoadRunner. Complete white box testing project. Middle-tier Java service tester for FDR-to-TSYS merger/conversion project. Developed Java based integrated test cases that executed JSP methods. Simple pass or fail results were compiled in XML and delivered to a custom web dashboard. Technology: Visual C++, Toad, Oracle 9i, TSYS, FDR, J2EE, XML, Custom Test Harness, CygWin, Solstice, LoadRunner, Test Director, white box testing only, performance, functional, integration, acceptance, & regression. Under Spherion, all efforts were contracted to various companies, such as Virtual Alert, Inc., Convera, Corp., NextCard, Inc., Gap, Inc., and Fireman's Fund, Inc. Developed End-to-End performance test scenarios for SharePoint/Active Directory portal application. Populated Active Directory LDAP via WSH/VB, interfacing with LDIFDE. Functional tests were conducted by manual and WinRunner scripts to validate regression, per build. Created performance test plans for various intranet based applications. Load testing was applied on several multi-platform applications. High volume stress testing was applied on multi-processor servers and mainframes. 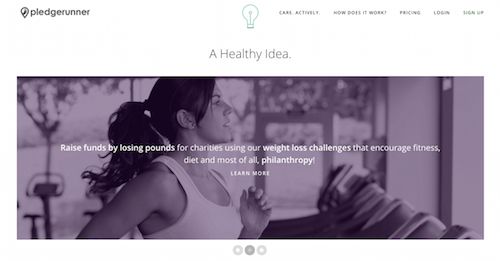 Founded Pledgerunner to help charities leverage IoT technology for fundraising. At SmartTurn - coordinated a company donation, to provide food for families in need. At PG&E - participated with community outreach programs that included park cleaning, elderly assistance and special events for disabled children. Building technology to help those in need and who are less fortunate. Participating in the technological growth of IoT, M2M and smart devices. Development of uniquely integrated speech interfaces.